Today we're looking at an iconic building at the top end of Wheelock Street. 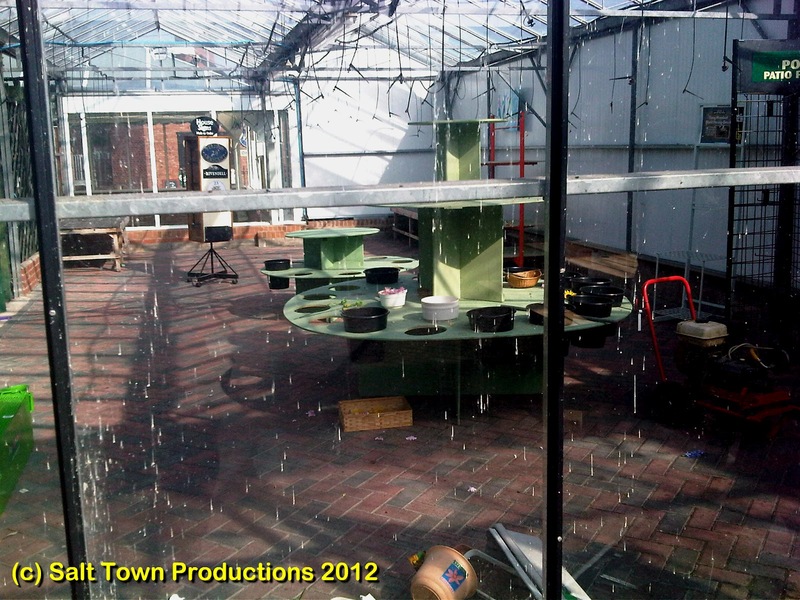 The 1987 picture on the left is taken from Carole Hughes' collection of images from twenty-five years ago taken by her friend Diane Parr, and the one on the right was taken on April 27th 2012. It's rather reminiscent of the Alhambra, further down the street, with a large building flanked by two smaller ones (although, as we saw here, the Alhambra was built after the buildings on either side and replaced an earlier one). 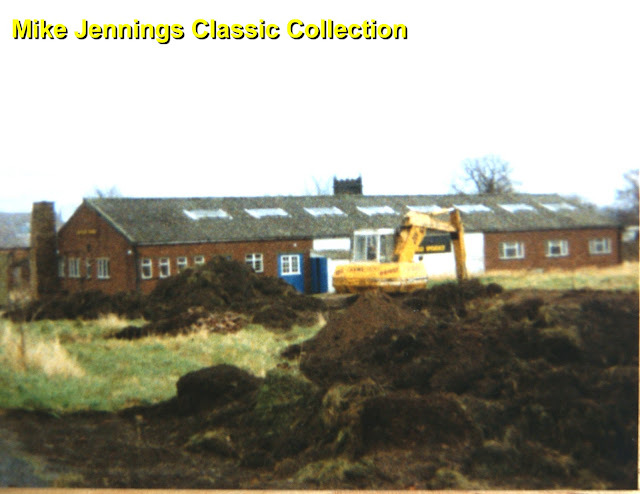 It's now much more elaborate than it used to be, and the section of building on the left (the old Crosville office) appears to have been extended. 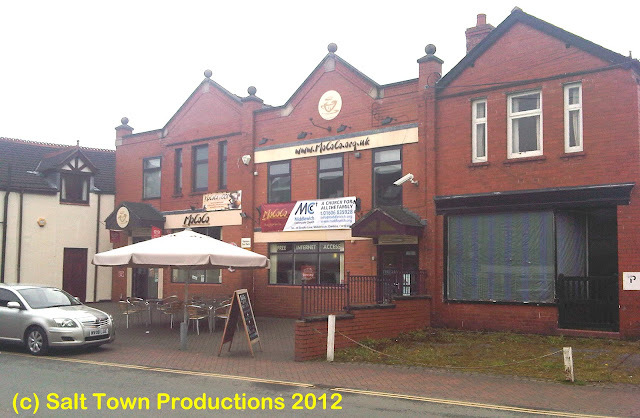 On the extreme left in both photos is the old Star Cinema, Middlewich's first picture-house. Just creeping into shot in the 1987 picture we can make out half of one of the town's long-lost red telephone boxes (or kiosks, if you prefer). I'm wondering if the old Star Cinema was a shop at this time, or was still used as a car repair business. Certainly there's a cigarette advert on one end of the building, but the roller-shutter door on the side is still in place. Any information would, as always, be appreciated. On the right hand side Gator's bakery shop is back in business, and appears to be selling clothes of some kind. 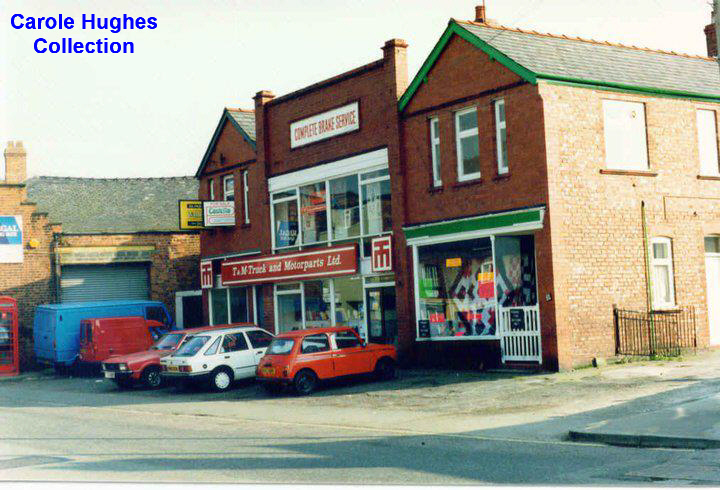 The central portion of the building, where the Crosville Garage once was, was occupied at this time by T&M Autoparts, the 'Complete Brake Service'. It appears that T&M also used the old ground-floor Crosville office, but the office space on the second floor was for sale (or was it to let?). 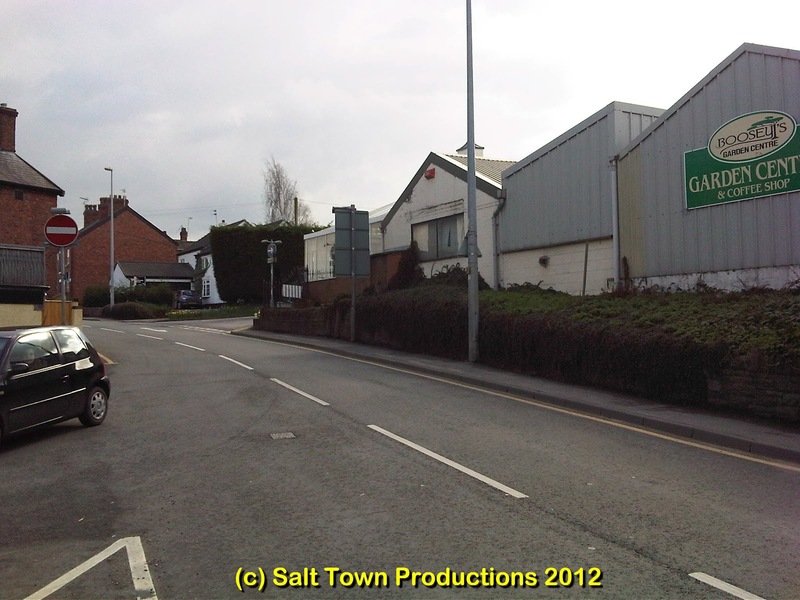 Carole Hughes herself worked here at the time, as did Phil Yearsley among, no doubt, other well-known Middlewich personages. T&M had a contract to supply re-lined brake shoes to ERF Middlewich at this time and, by coincidence, I was the person who received them at ERF's Goods Inwards department in Brooks Lane, and booked them into stock. 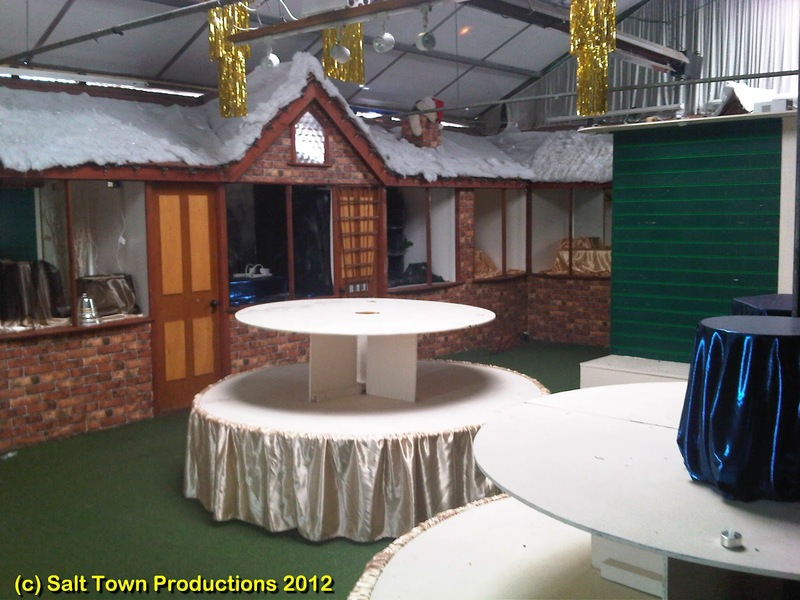 The very much smartened up 'Cabin' (or 'Triffic Togs') is on the left, and the former Gator's shop,looking a little drab but still just as it always was, even down to the wooden gate (now painted black) in the doorway is on the right. 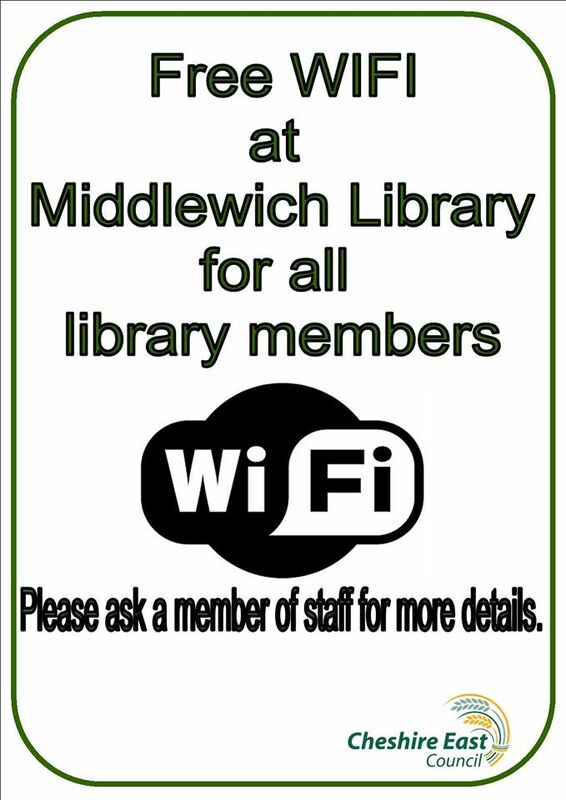 A discreet wall with railings now screens it off from the MoCoCo internet cafe, operated by Middlewich Community Church, which occupies the rest of the building. 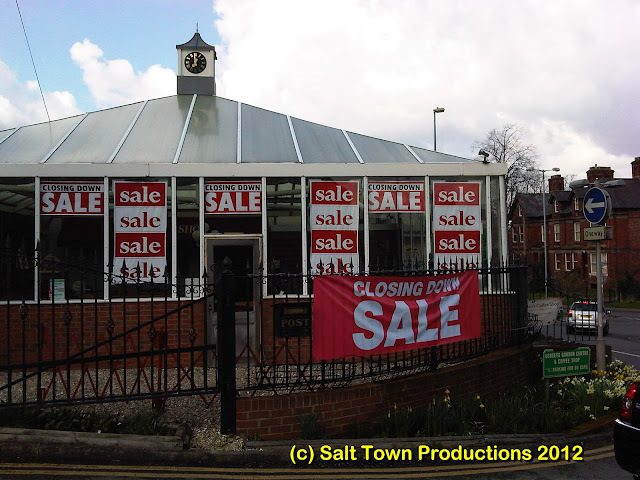 Many people will, of course, remember this building (or, at least, the middle part of it) as the Crosville garage. In 1957 I used to go down there, accompanied by William Moreton, to catch the single-decker Crosville bus to Wimboldsley School. When this ceased to be the Crosville Garage. 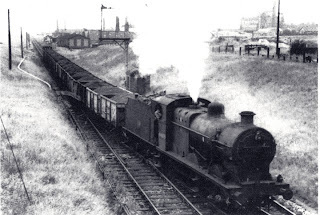 What it was after Crosville left. and what was there before it became the MoCoCo cafe? 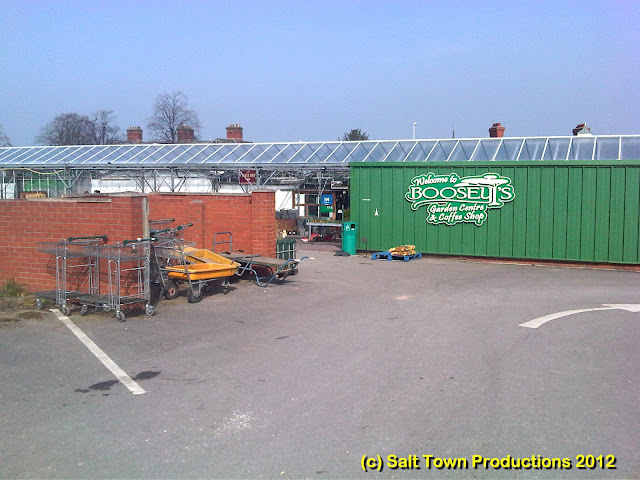 Thursday 26th April 2012 is the day that Middlewich finally bade farewell to another local institution, Boosey's Garden Centre. 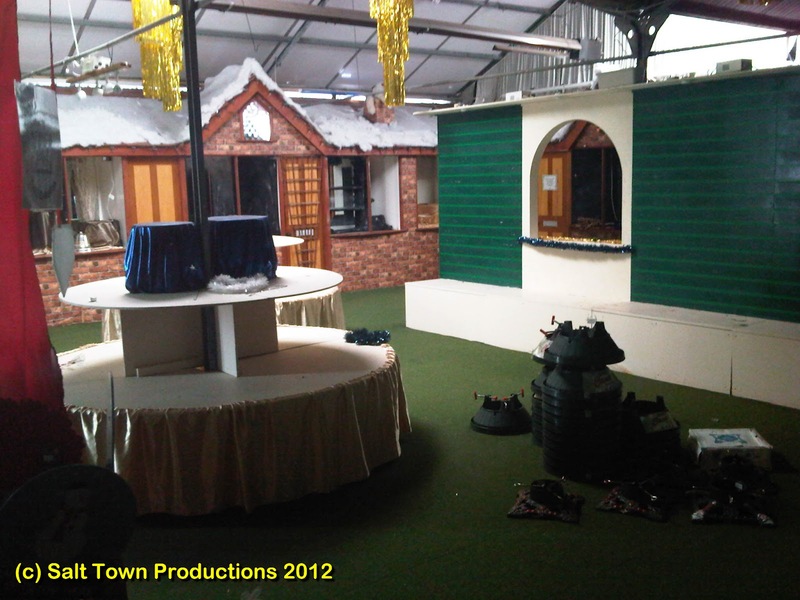 Here we take a final nostalgic look round. It's hard to believe that this familiar sight will very soon be a thing of the past. The somewhat haphazard-looking jumble of buildings on Newton Bank which was home to Boosey's will soon disappear to make way for a Morrison's Supermarket. 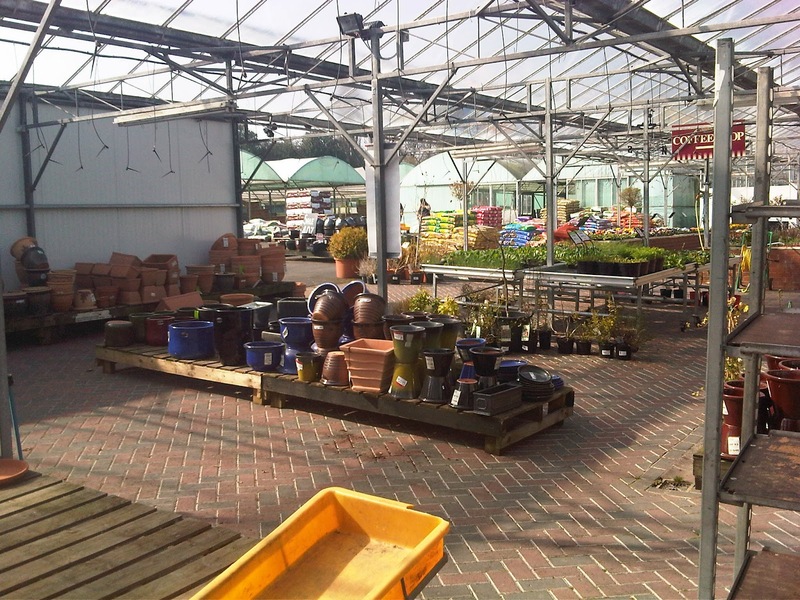 At the beginning of the year Boosey's conducted a closing down sale which intensified during the garden centre's last week of operation with reductions of 'up to 75%'. Note the public clock on top of the building. Morrison's are usually quite good at clocks. Will there be a replacement one on top of the new store? Here's the road access to the garden centre off Newton Bank. Behind the cars on the left is the car park and, beyond that is Glastonbury Drive, built on the fields which were once part of Boosey's Nurseries. 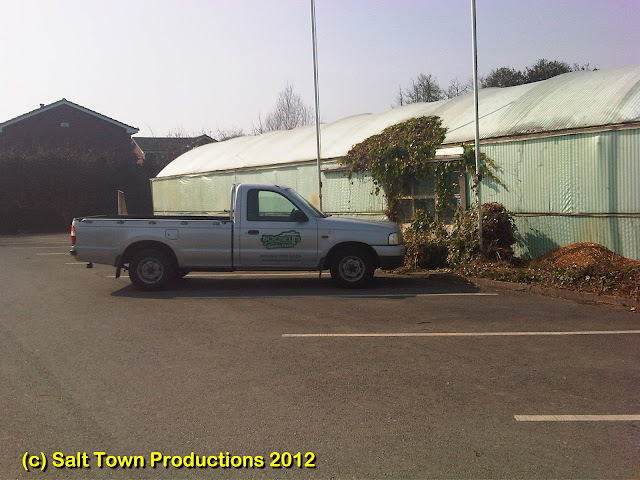 Another familiar sight around the town - Boosey's pick up truck. The houses on the left are in Glastonbury Drive. The entrance to the garden centre is in the middle of the picture, just to the left of the green wall . In this shot that green wall is in the right background. 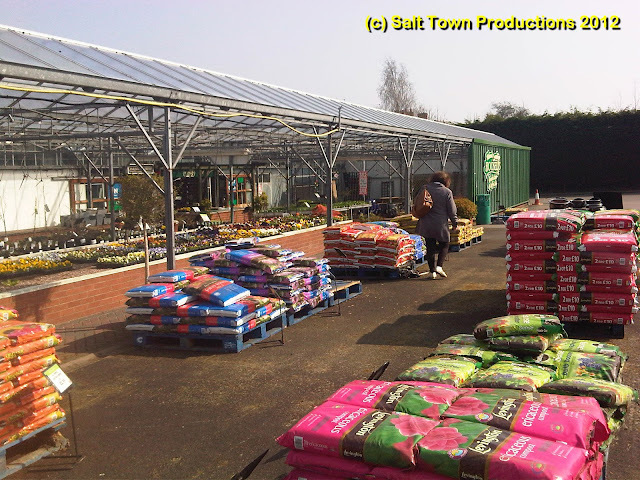 Bags of specialised compost are on offer in the yard. Taking a look inside, there's not a lot to see in this part of the building. 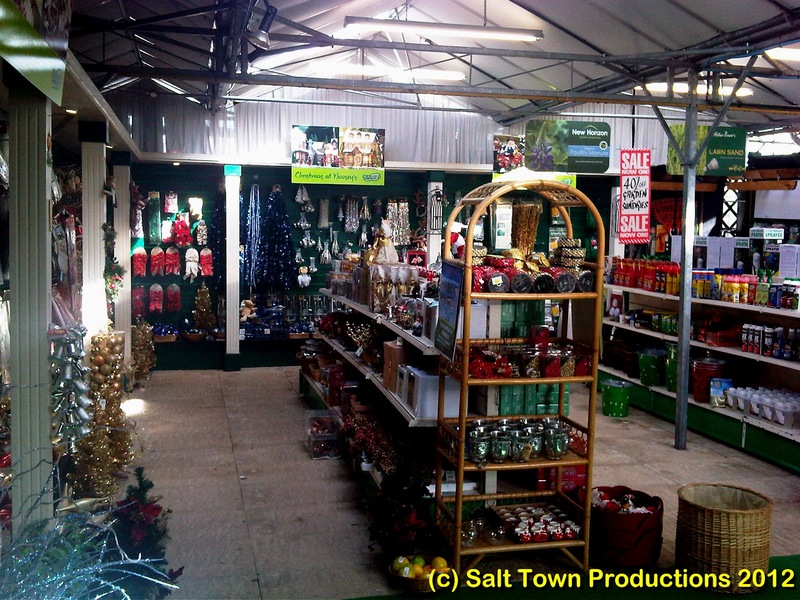 ...but here there's a chance to stock up on Christmas items. Boosey's was famous for its Christmas displays, but is this a leftover from Christmas 2011, or a foretaste of Christmas 2012? 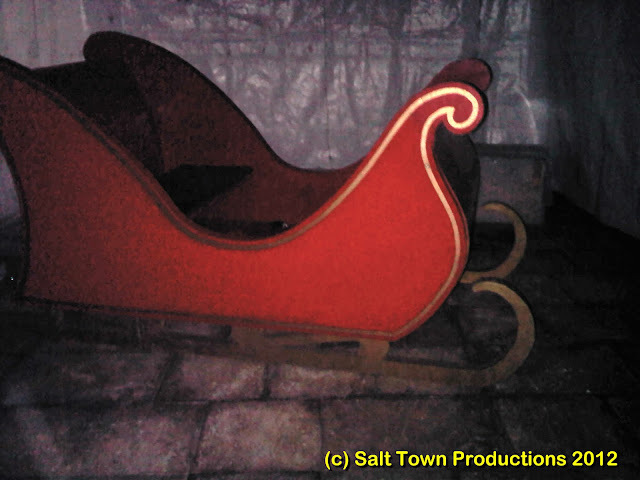 ...Santa seems to have left his sleigh behind as a reminder of all those Christmases past at Boosey's. 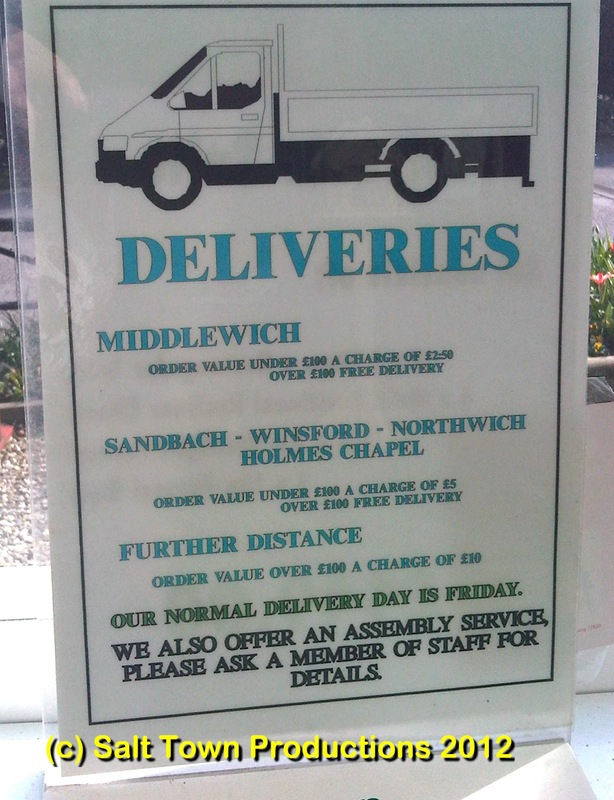 Of course Santa will be in Middlewich at Christmas this year, as, no doubt, will his reindeer (a Middlewich tradition started by Boosey's many years ago) but not in this particular part of town (unless the manager of the new Morrison's store has a particular genius for local PR?) so let's hope he's made arrangements to get his sleigh back. Perhaps he's not too late to take advantage of Boosey's delivery service? One very popular feature of Boosey's Garden Centre was the coffee shop. A very pleasant spot for a snack and a drink. 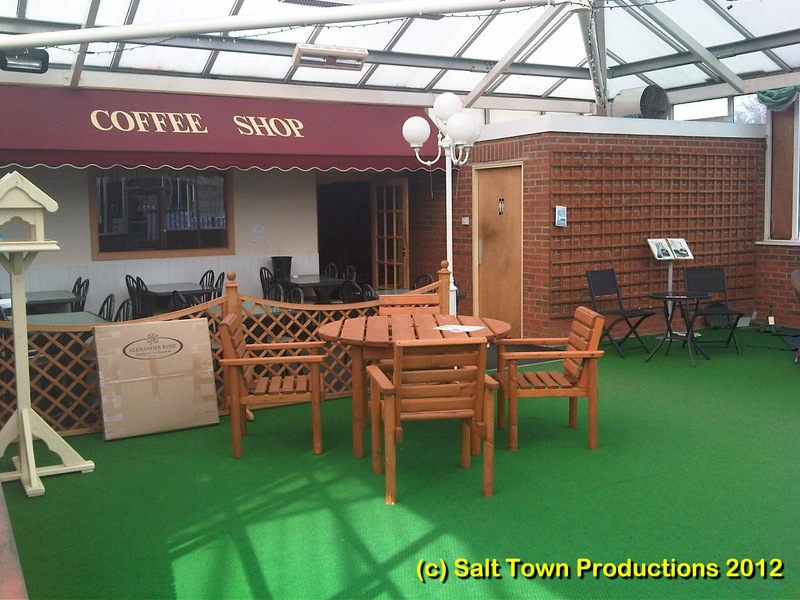 This particular photo is labelled 'coffee shop exterior' but, in fact, the coffee shop was inside the garden centre, giving patrons the pleasing option of being able to sit 'outside' whatever the weather. 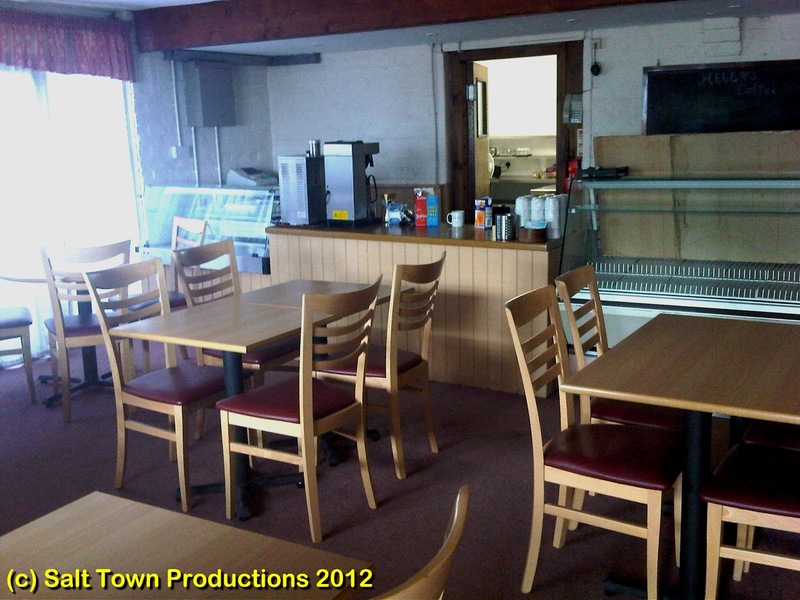 The 'inside' part of the coffee shop was just as attractive, but this photo has an almost eerie 'Marie Celeste' feel to it now that the customers have all gone. So ends our brief valedictory visit to Boosey's Garden Centre. If you have memories and pictures of the Garden Centre, and Boosey's Nurseries over the many years they have been part of Middlewich, we'll be pleased to hear from you. See also this entry which tells you something of the history of Boosey's Nurseries and the adjacent Middlewich Autos which will also disappear as part of the redevelopment of the site. 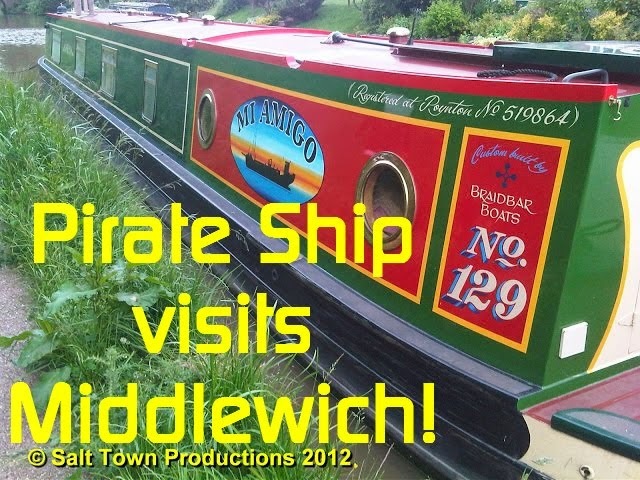 At 1pm on the 25th April the total number of Page Views for our Middlewich Diary stood at 49,979, making us just 21 away from the magic figure of 50,000 Page Views since the tenth of June 2011. We passed that historic landmark later the same afternoon afternoon. 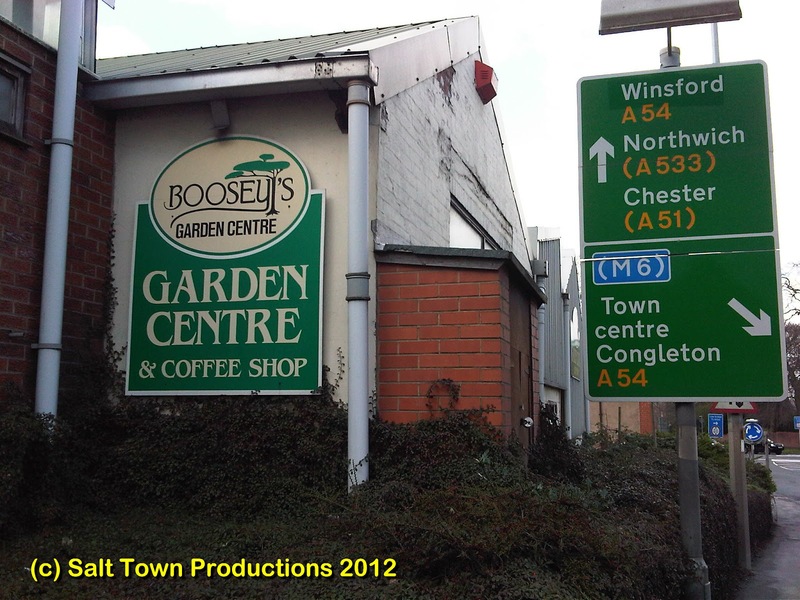 If you head out of Middlewich in the direction of Sandbach, not on the main road but 'down the back lanes' as they say in these parts, turning left at the 'T' junction at the end of Warmingham Lane you will soon find yourself in Dragon's Lane, Moston. 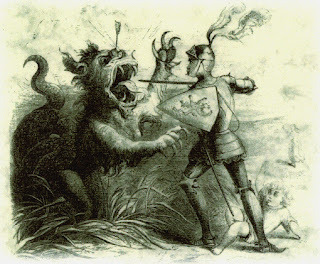 It's such an evocative name that, as I'm possessed of a vivid imagination, every time I travel that way I manage to convince myself that the Dragon is still there (in that small wood or copse opposite the turning for Warmingham, if you want the precise location of the creature). The story, thought by many to be the origin of the story of St George & The Dragon, is told in the poem The Dragon Of Moston (link below). Sir Thomas Venables is commemorated in the Venables Shields, preserved in Middlewich Parish Church. A familiar sight to children, parents and grandparents on the daily trek to and from Middlewich Primary, St Mary's and Middlewich High School, our picture shows Flea Lane Bridge on the Shropshire Union Middlewich Branch. This is just one of many traditional 'hump-backed' canal bridges in the town. In fact, to our knowledge, only two of them have been replaced by more modern structures - the bridge carrying Long Lane over the canal just a few yards east of this one in the late 1960s and, famously, the Town Bridge itself in 1931. 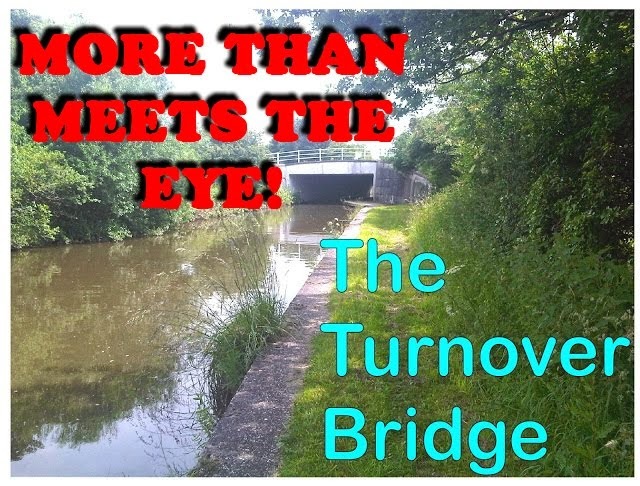 (The well-known, 'turnover bridge' on the Sandbach road, where the road switches from one side of the Trent & Mersey to the other, looks like a modern bridge, but in fact the original traditional canal bridge is still in place, hidden underneath the modern concrete and brick). If you're not familiar with Flea Lane Bridge it may look from this angle as if the bridge leads to a dead end. 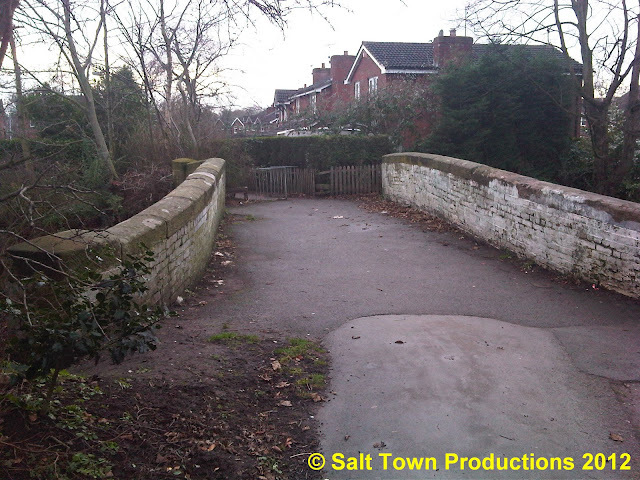 For many years the bridge has been used only for pedestrians and the grey railings at the far side are there to ensure that only people on foot can get through to Eaton Drive. 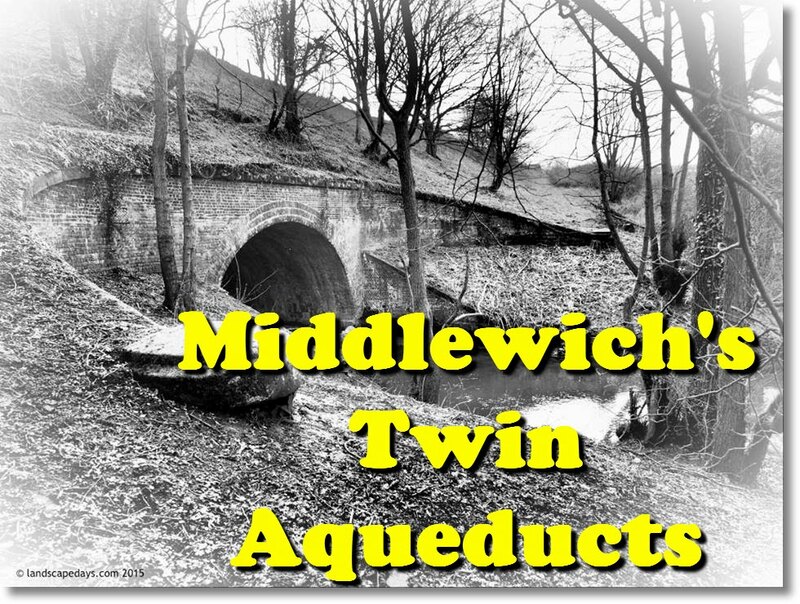 When the bridge was first built it carried a track which ran from Middlewich into the grounds of the Manor and was used by horses and carts carrying produce and other goods to and from the town. The track continued toward the Manor on the alignment of the houses in the background. The far grander carriage drive taking people to the Manor from Nantwich Road is a few yards to the west of this bridge on the other side of the aqueduct. Until the new houses seen here were built the remains of a set of gates closing off the far end of the bridge were still to be seen. Unsurprisingly the name 'Flea Lane' has fallen out of usage and seems only to be used in connection with this bridge, although the stretch of public footpath from the bridge to Manor Lane is still marked as such on Philips/Ordnance Survey maps. 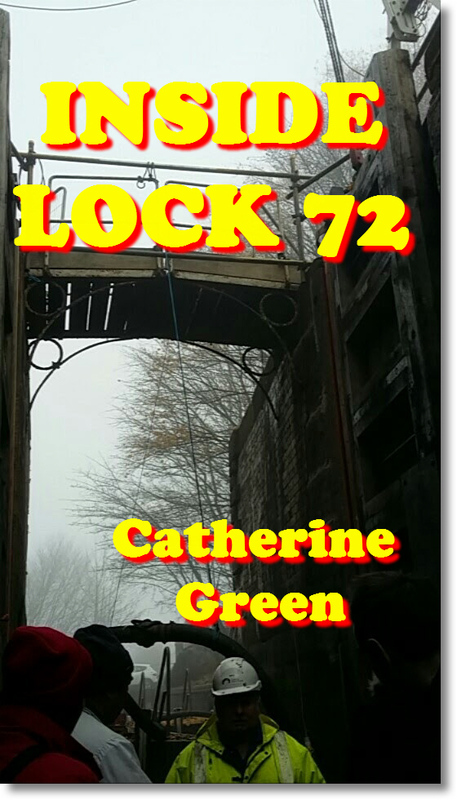 We're grateful to regular 'Middlewich Diary contributor Paul Greenwood for pointing us toward this entry in 'A Ghost Hunter's Diary' by fellow blogger Gill Stubbs of Crewe. Whether or not you believe in ghosts, we're sure you'll find this item interesting. 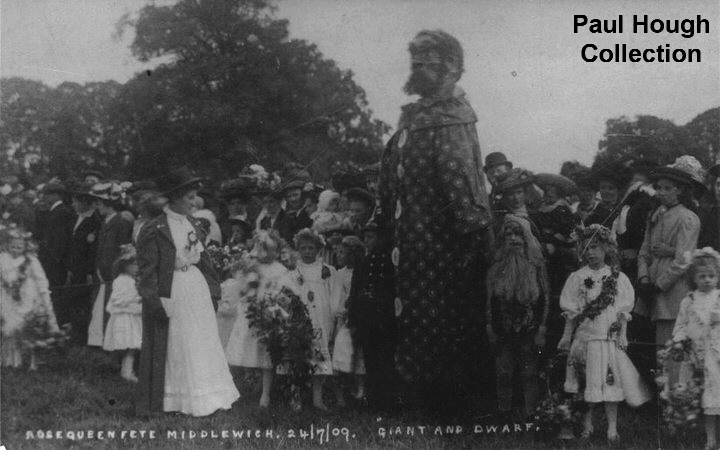 Another very well known Middlewich 'classic' - the 'Giant and Dwarf' from the 1909 'Middlewich Rose Queen Fete' held in the grounds of one of the large houses around the town and under the patronage of some of the town's more wealthy inhabitants. Like its modern-day counterpart the Rose Queen Fete will have featured a procession through the streets prior to the main celebrations taking place at the fete itself. The Giant and Dwarf are obviously taking part in something akin to a 'fancy dress' competition as there is a very elegant lady to their left subjecting them to close scrutiny. The lady in question is wearing a rosette which probably indicates that she is acting as a judge. On the right another elegant lady is being embraced from behind by someone we can only hope was her 'sweetheart', and she doesn't look too happy about it. Rose Queen and May Day celebrations such as this were largely ended by the advent of the First World War, although some of their traditions continued as part of local town carnivals. 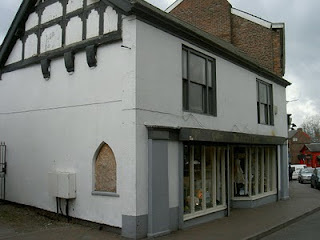 The Rose Fete tradition is carried on in the present day by such events as the Middlewich FAB Festival and its associated Middlewich Rose Fete event. A couple of exhibits for our virtual Middlewich Museum today, courtesy of our regular correspondent Mike Jennings, who has been musing on the subject of Beer Festivals in Middlewich and sent us these pictures of the commemorative pint glasses produced for the Big Lock Real Ale Festivals in 1995 and 1996. The 1995 glass was a relatively plain affair but, following the success of the first festival, Big Lock landlord Tony Hatton pushed the boat out and had a much more elaborate glass produced for 1996 featuring a version of the ink drawing of the pub and lock which he was using on advertisements, menus etc. at that time. 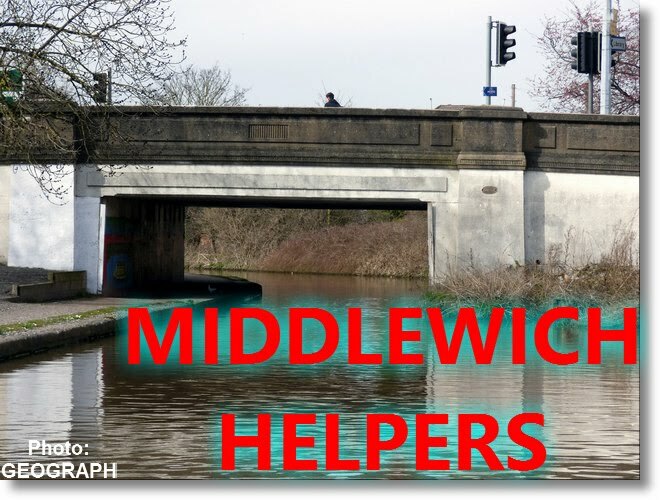 I was reading about the 10th Middlewich Beer Festival next year and it came to my memory that there used to be a Middlewich Beer Festival held at the Big Lock. Well I have found the evidence in my cupboard with the pint glasses. 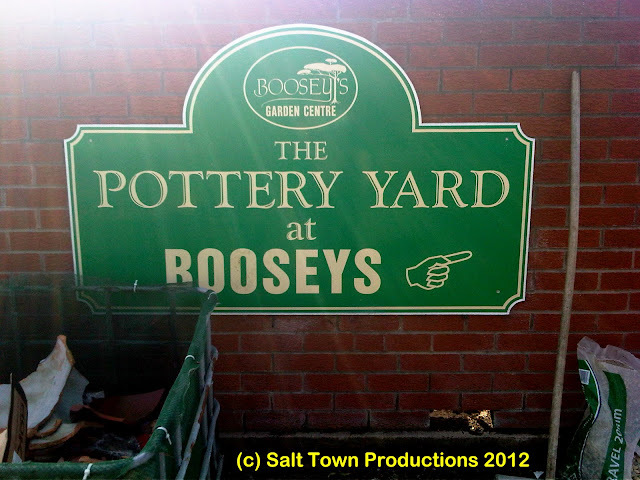 Although I was not able to remember much after downing 3 halves of Roger, Over and Out. But I did somehow manage to get the glasses home intact. 1st Festival 1995, 2nd 1996. Therefore it will be the 12th annual festival this year? Many thanks to Mike for the photographs. 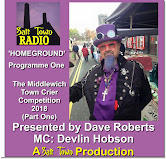 As far as we know, the Middlewich Beer Festival held at the British Legion over the last ten years has no connection with this early pioneering event organised by Tony Hatton at The Big Lock on the mid-90s. 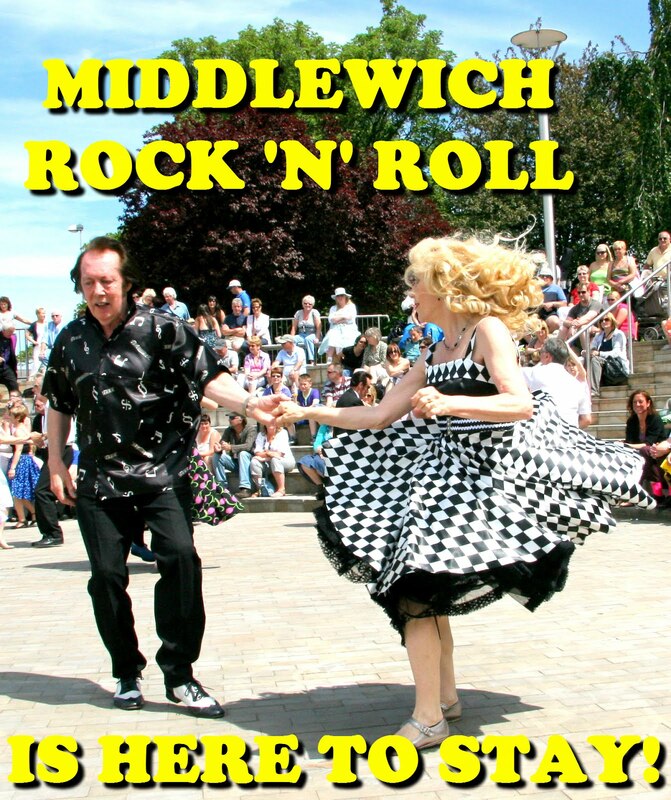 The current event is a Charity Festival organised by the Middlewich Round Table at the Royal British Legion Club each year. 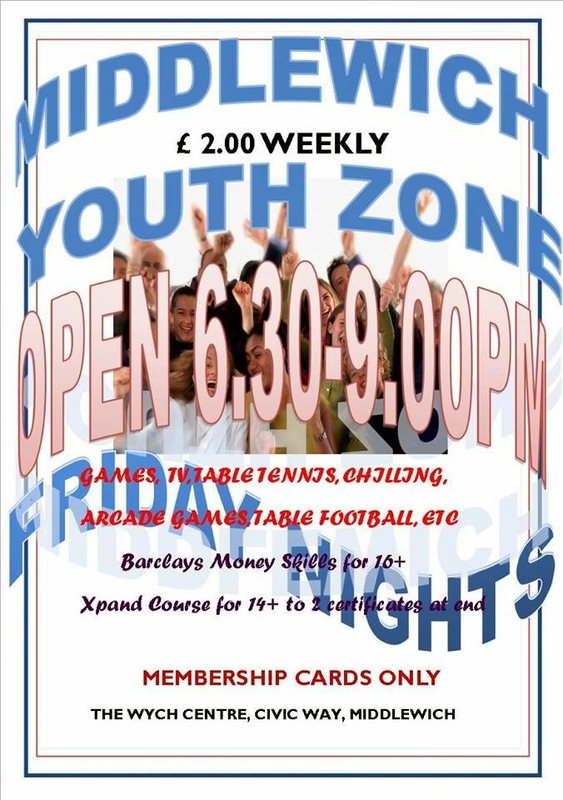 As Mike says, this year the event will be celebrating its tenth anniversary, and the Round Table are to be congratulated on the success of the event over all that time. 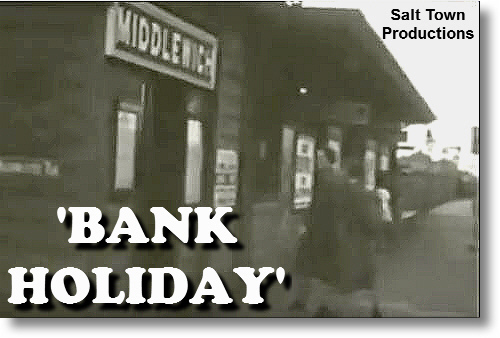 'Double Strength is a short comedy film made by the Mid-Cheshire Amateur Cinematography Society (MCACS) in the late 1930s. It's really more of an exercise in trick photography than anything else, and most of the camera tricks available to the amateur 16mm film maker at that time are employed. There is a lot of 'stop motion' - stopping the camera and either putting something into the frame, or taking something out, and then resuming filming giving the effect of something appearing or disappearing out of or into thin air. But the 'double' effect used towards the end of the film, when Arthur's miraculous powers turn Evelyn into two people, is the ultimate in film trickery at that time. To produce the effect meant exposing just half of the 16mm film with a blanking plate over the other half and then rewinding the film, blanking off the already exposed half, and then filming again. 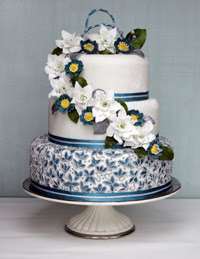 By today's standards, the result was, perhaps, indifferent, but the true wonder is not that it was done slightly badly, but that it was possible to do it at all. 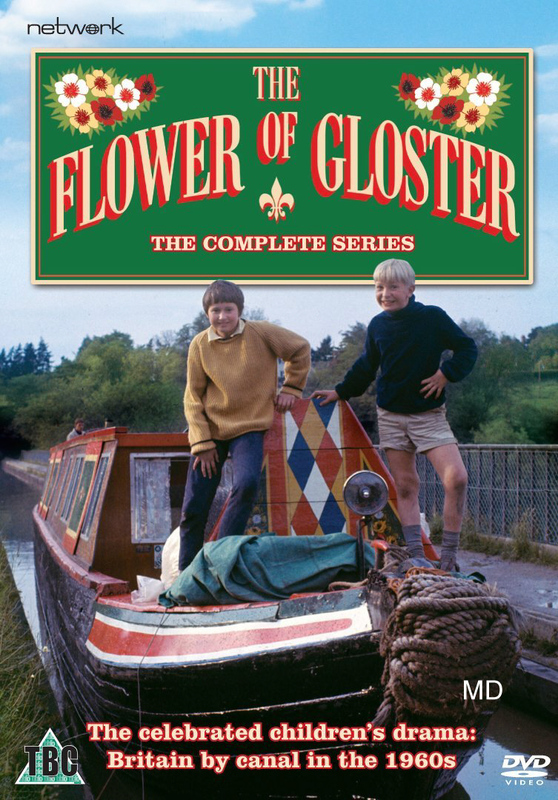 The film features Arthur Roberts and his two sisters - Winnie (later Winifred Oakes), who plays his wife and Evelyn, later Evelyn Ridgway, who was, until the end of the 1960s, the proprietor of the newsagents shop in Wheelock Street most recently known as 'Chisholm's'. Evelyn plays 'a friend' making a memorable appearance (or should that be two appearances?) 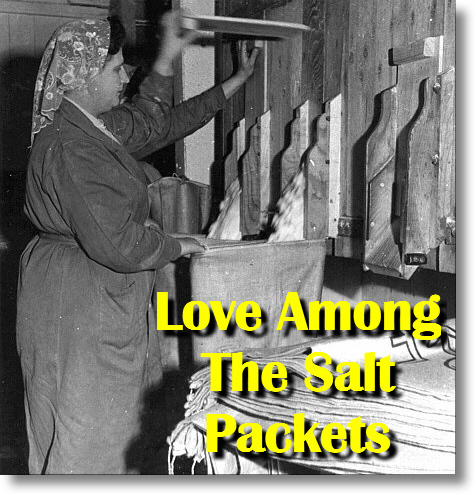 towards the end of the film..
Arthur plays the part of a man plagued by indigestion who is always looking for the ultimate cure, as is his wife, who tries all kinds of medicines to try to solve the problem. 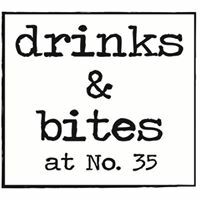 The 'Double Strength' tablets which eventually fall onto the doormat and which Winnie slips into Arthur's drink prove to be not quite as advertised. Then again could the whole thing be just a dream? Probably - it's one of the oldest ideas in the history of film making and used to very good effect in this little masterpiece. 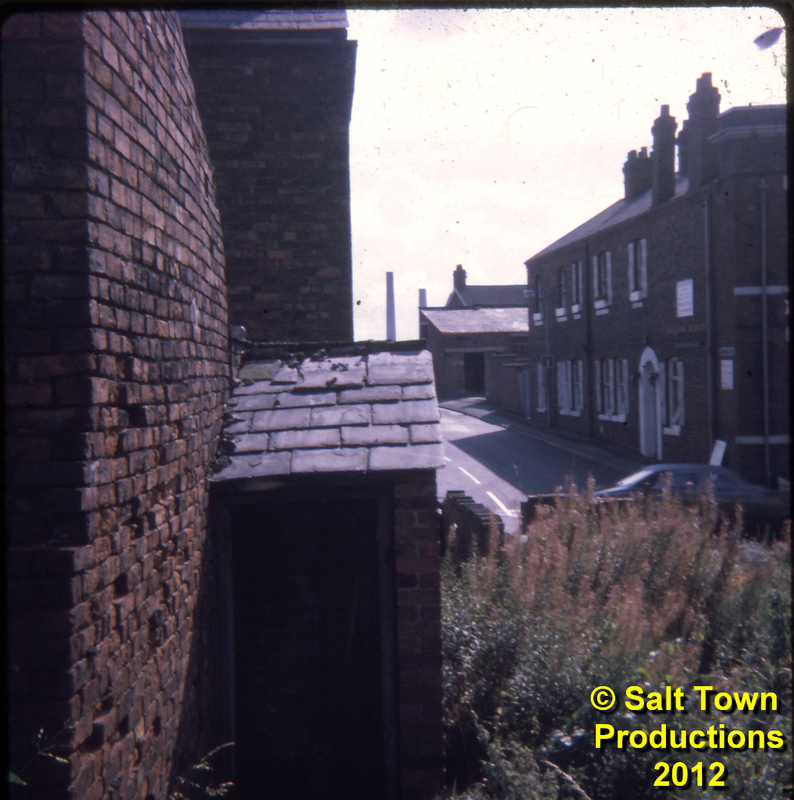 We believe that the house and garden used as locations for this film are in Westlands Road in Middlewich. Note that when Arthur is relaxing in the sunny summer Middlewich garden, the newspaper he is reading carries stories full of the ominous doings of Hitler and Mussolini. 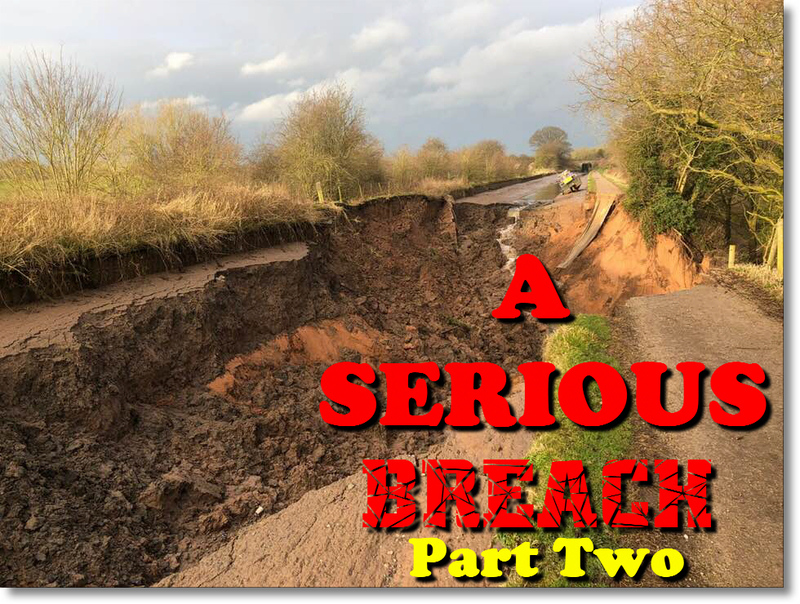 The storm clouds of war were gathering, but it all must have seemed millions of miles away from that secluded Middlewich garden. 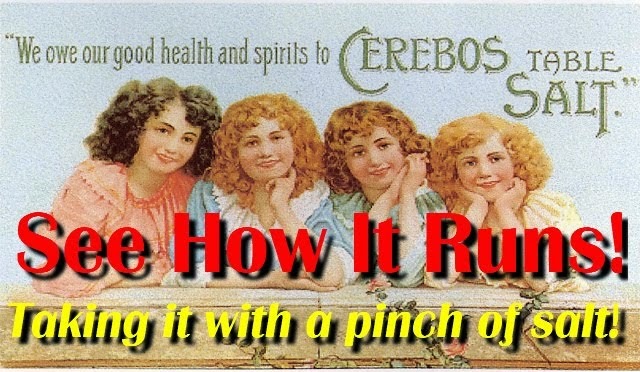 We looked long and hard for some music to accompany this film and eventually struck gold with a website in New Zealand which specialises in transforming vintage player-piano (Pianola) rolls into Midi files. We're very grateful to Robert for allowing us to use some of the music he has so painstakingly preserved to accompany this and other films in the series. We hope you'll agree that, as we've said on our YouTube Channel, the music fits the film 'like a glove'. We recommend watching 'Double Strength' on YouTube by clicking the link below. 'Double Strength' and the other films in the Roberts Collection are now in the care of the North West Film Archive at Manchester Metropolitan University. Here we are back in the familiar surroundings of Wheelock Street, a thoroughfare which seems to stay the same the more it changes. The main focus of this particular picture from the Paul Hough collection is, of course, The White Bear Hotel, currently enjoying a new lease of life and certainly looking more spick and span these days than it did when this picture was taken, in the days when it was a 'commercial hotel' and catered for travelling salesmen (known these days as 'reps'). It's interesting to note the side door, long ago bricked up and replaced by a window. 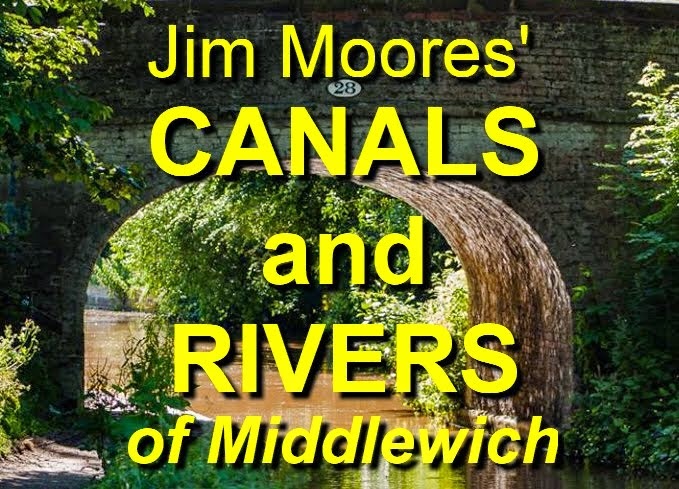 Middlewich (Images of England) by J Brian Curzon and Paul Hurley (Tempus Publishing 2005) features a photograph taken around the same time (page 67)along with this one (page 105). Messrs Curzon and Hurley also tell us that Wheelock Street boasted several other pubs at the time (circa 1904) and they were: The Commercial, The Bulls Head, The Black Bear, The Red Lion, The White Lion and The Red Cow. This is useful, because we've been trying to identify the pub on the opposite side of the road in this picture and, so far, can only make out the word 'Inn' on the sign. We can, of course, rule out the Red Lion and the Red Cow, which were both at the top end of the street, so that leaves us with a choice of the others. The pub in question looks too small to be a commercial hotel with the same status as The White Bear, so that might rule out The Commercial (although it would make sense for two commercial hotels to be on opposite sides of the street). So could this 'Inn' be The Bulls Head, The Black Bear or the White Lion? The word 'Inn' could follow any of those. Anyone know which it is? We can safely date this photograph as prior to 1920 because that is when the familiar Alhambra cinema was built, its arched ornamental frontage fitting in perfectly between the two gabled buildings on either side and replacing the much lower and much older building seen here. In fact so well does it fit into its surroundings that it gives the impression of always having been there, to such an extent that to see this still recognisable Wheelock Street scene without it comes as a slight shock. 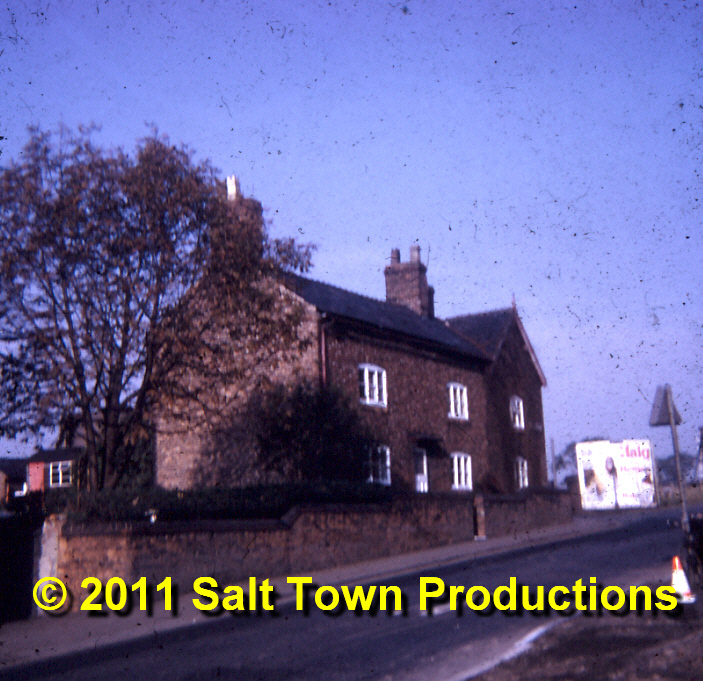 It shows the much lamented Pool Head Farmhouse on the corner of Kinderton Street and King Street as it was in 1970. (for a detailed description see this entry). 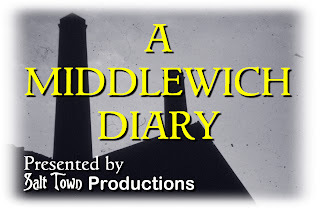 We continued to post pictures on Facebook until the 25th May 2011, when we introduced 'A Middlewich Diary' on the now defunct Salt Town Site, still with links from Facebook. This ran until the 10th June when the blog version of the Diary, which you're reading now, came into being. As we approach festival time in Middlewich once more we take a look back to May 1990 when preparations were in full swing for the first ever Middlewich Folk & Boat Festival. 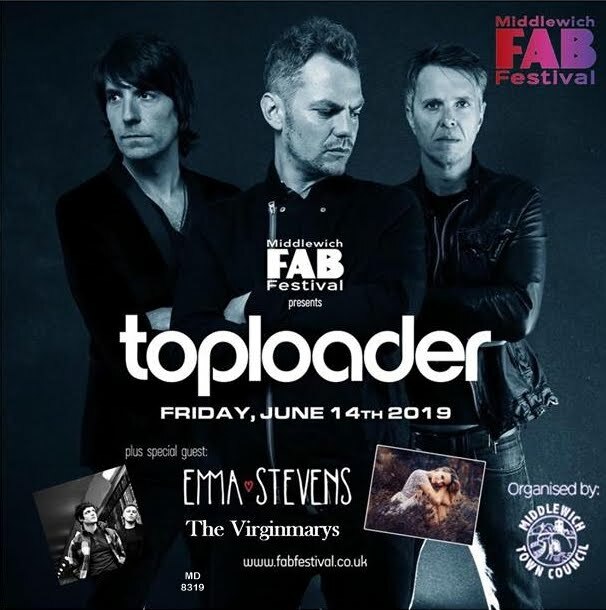 The original plan was for the inaugural festival to take place in June 1991, giving organisers plenty of time to make preparations but, almost at the last minute, it was decided to go for June 1990. 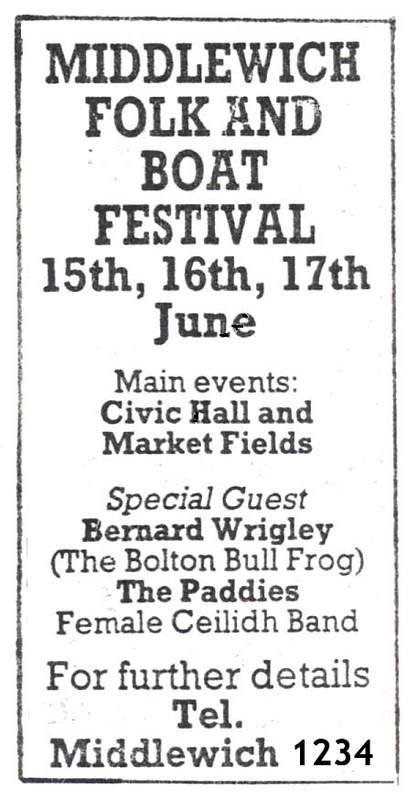 Although money was tight and everything in the early years was done on the proverbial shoestring some pre-festival advertising was clearly necessary and the above ad appeared in the local press in the month before the festival. We've altered the contact telephone number to a fictitious one just in case some wag should decide to ring it after all these years. 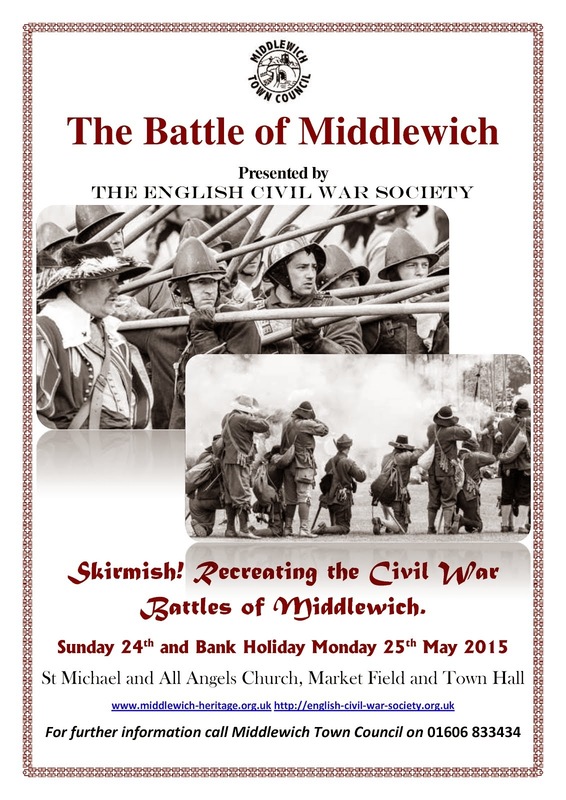 Anyone not in the know who turned up for the Middlewich Paddies concert expecting to see a 'female ceilidh band' was disappointed. They're not, of course. A ceilidh band, I mean. In this momentous year for shopping in Middlewich here's another one in the series of photos kindly supplied by Mike Jennings and showing the site where it all started twenty-five years ago. As always we can use the tower of St Michael & All Angels church as our benchmark and deduce that the area shown here is the 'top' part of the present day Tesco car park and my first impression was that Mike was standing alongside the site of the current supermarket when he took this picture, probably round about where the pavement and disabled parking bays are at the side of the building. 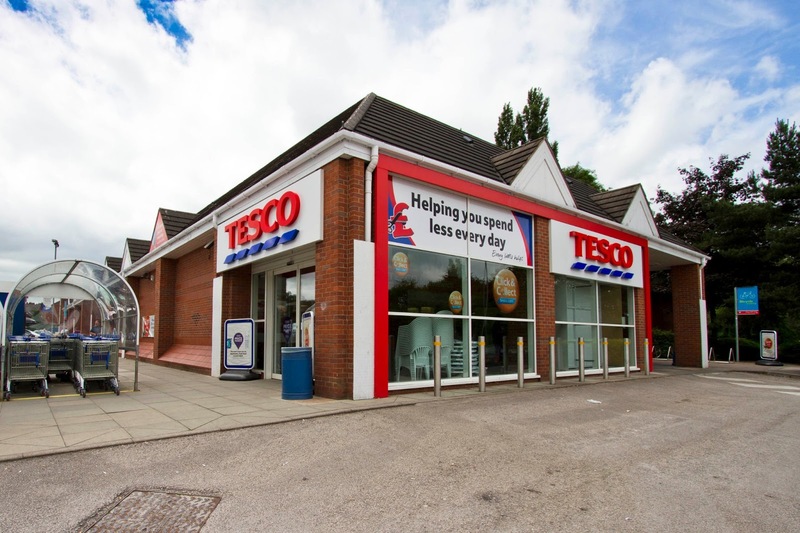 However, just after this entry was first published, Diane Russell pointed out that he was more likely to have been at the top end of Southway (see comments, below) and, just by coincidence, I had been on a shopping trip to Tesco and come to the same conclusion. I took a similar photo of the Orchard Works fifteen years earlier than Mike, and it can be seen here. I think Mike was a little bit closer, but not much. It is, perhaps, a little surprising that the bulldozers had moved in and started to clear the ground before the Orchard Works was demolished, but one possibility is that the building of the car park was a separate contract from the building of the supermarket itself. The small industrial buildings we saw here can just be glimpsed on the extreme left of the picture. 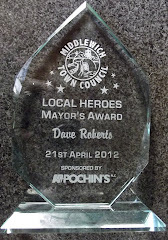 Yesterday I was astonished - and I don't mean mock-astonished, or false-modesty-type pretend astonished, but genuinely astonished - to receive an email from Middlewich town Council telling me that I had been awarded the Mayor's Award in this year's Local Hero Awards for my work on A Middlewich Diary and the Middlewich Rail Link Campaign. I am, needless to say, absolutely delighted at this development and I'd like to thank whoever it was that put in the nomination. 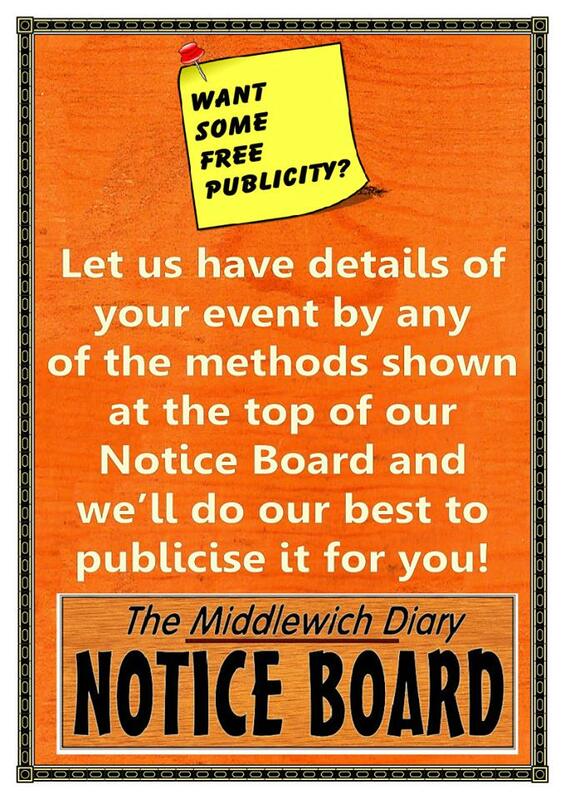 It also goes without saying that this award is, as they always say at Award Ceremonies, 'not really for me' but for everyone who has helped me make the Middlewich Diary what it has so quickly become - a part of the town. 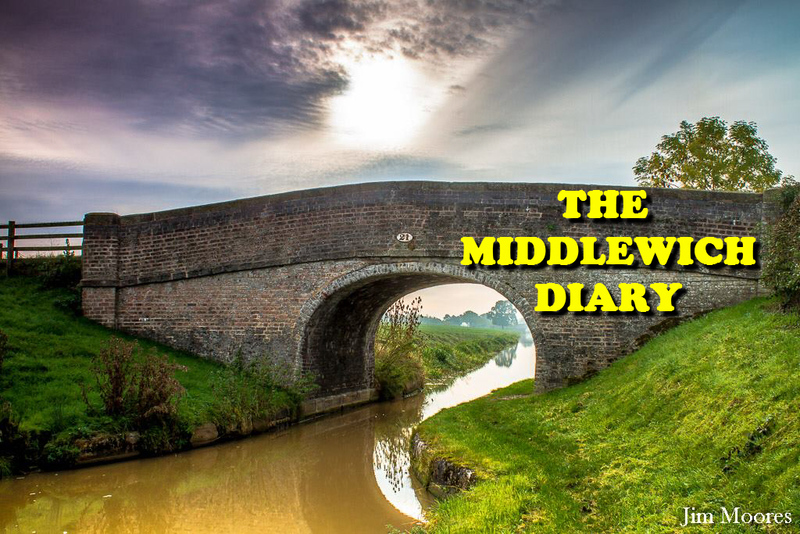 A Middlewich Diary (the original title was to have been 'The Middlewich Blog', which just sounds awful) started last June after several 'dry runs' on Facebook and the Salt Town website and many people very quickly caught on to what I was trying to do, i.e. 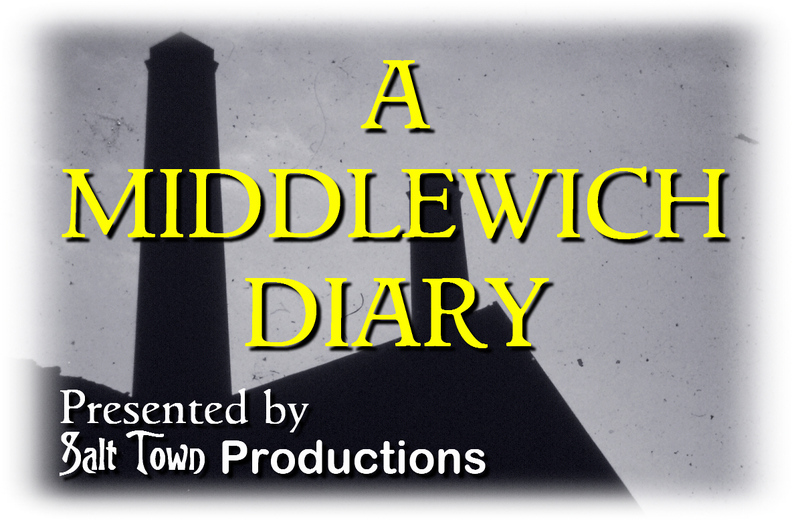 to show people what the town was like in former days and - this has become more and more important as the Diary has developed - what is happening nowadays. 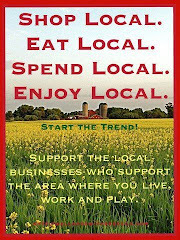 I don't, incidentally, subscribe to the 'Middlewich used to be a lovely town, but they ruined it' school of thought. This town is far more attractive now than it ever was in the past but it is fascinating to look back over all those old photographs and see the town in its drab, hard working salt town heyday. So may I thank all the contributors to A Middlewich Diary and, in particular, Geraldine Williams, Cliff Astles, Jim Moores, Mike Jennings, Dave Thompson, Kerry Fletcher, Daniel Preston, Carole Hughes, Paul Hough, Kath & Barry Walklate, Chris Koons, Maureen Condra, Ewan Macdonald, Margaret Williams and Paul Greenwood. Not forgetting, of course (as if we could) Sherry Hill-Smith over there in the colonies (see comments, below). There will, of course, be one or more major contributors who I have completely forgotten about so, to spare my blushes, it's you I mean. 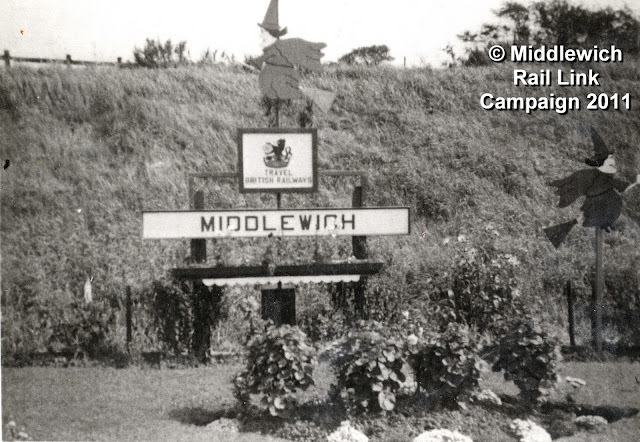 As for the Middlewich Rail Link Campaign - it has been running now for twenty years and for most of those years I have been chairman of the committee. Twenty years, believe me, is not a long time for such a campaign to run. At a meeting once a very silly woman told me, ' don't give up your day job' because 'you haven't got very far, have you?'. Rather than throwing a pint of Robinson's Bitter over her, which was my first instinct, I gave her a wry smile and a lecture on how these things work. Whatever it is you are campaigning for you have to keep going on and on about it until people are sick of hearing about it. You have to ignore the naysayers and the people who 'can tell you quite categorically' (without a shred of evidence) that 'you're wasting your time' and 'it'll never work' and you just have to keep on keeping on..
MRLC has proved what it set out to prove: that a rail service from Crewe to Manchester via Sandbach, Middlewich and Northwich would be a viable and, some say, even a profitable venture. 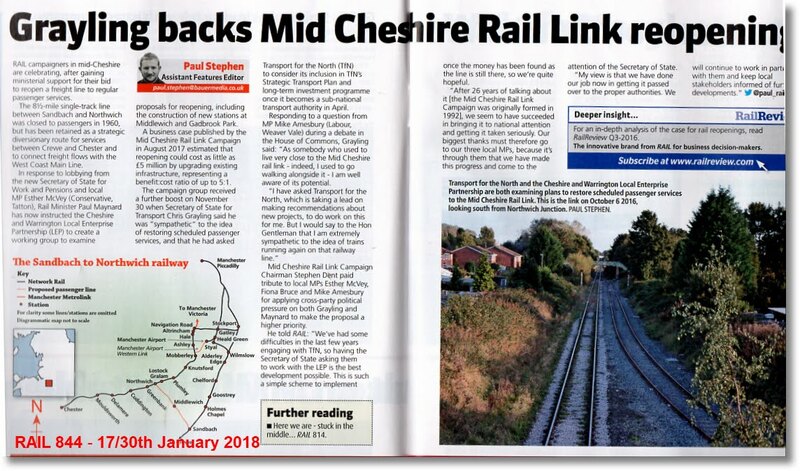 Survey after survey has indicated this over the years, including two feasibility studies commissioned and paid for by MRLC and its parent group the Mid-Cheshire Rail Users' Association. 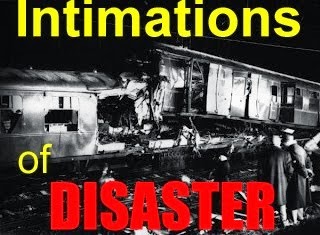 The stumbling block now is Network Rail, who are demanding exorbitant amounts of money just to look at our proposals. However, our policy remains what it always has been: never take no for an answer. 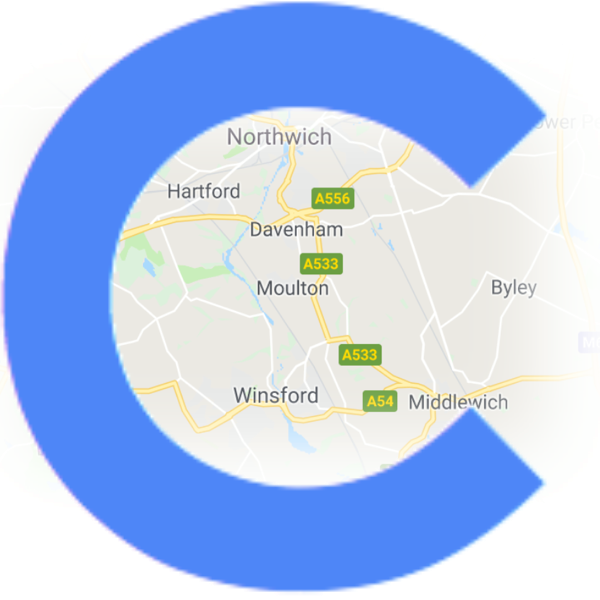 Re-opening of the railway and a new station for Middlewich are absolutely vital for the town's regeneration, and we won't stop campaigning until it happens. 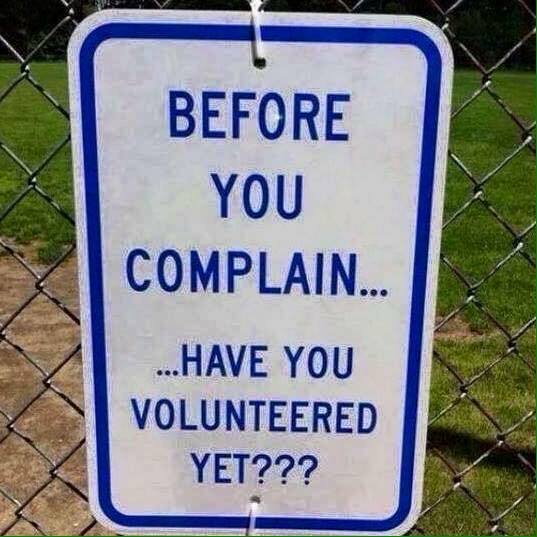 And again I have to thank the people who have done the real work, as distinct from my own role which has been to chair meetings in a slightly bemused way, listening to people who really know what they're talking about, and just keeping on telling everyone what a good idea it all is. So can I just mention Stephen Dent, Cllr Mike Parsons, Vernon Perkins, Harry Boardman, Peter Cox and all the other members of the MRLC committee and the Steering Group, whose efforts will, I know, win through in the end. 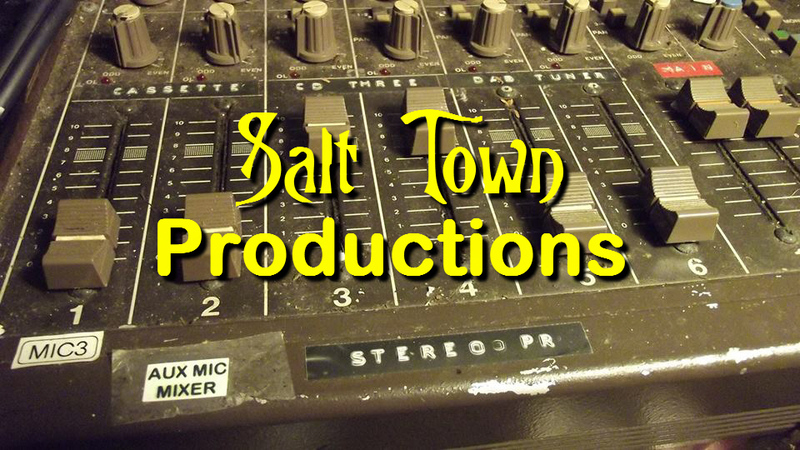 Here's the full version of a slide which formed the basis for the original Salt Town Productions logo, as seen here. 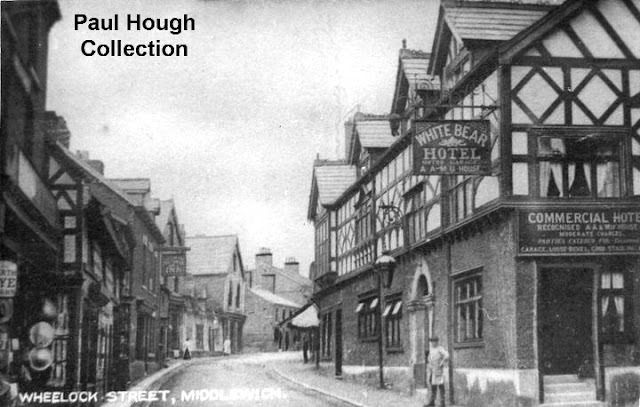 On the right is, of course, the Boar's Head Hotel. In recent years this has been extended at the rear in sympathetic style so that those not in the know might assume it has been like that for many years. 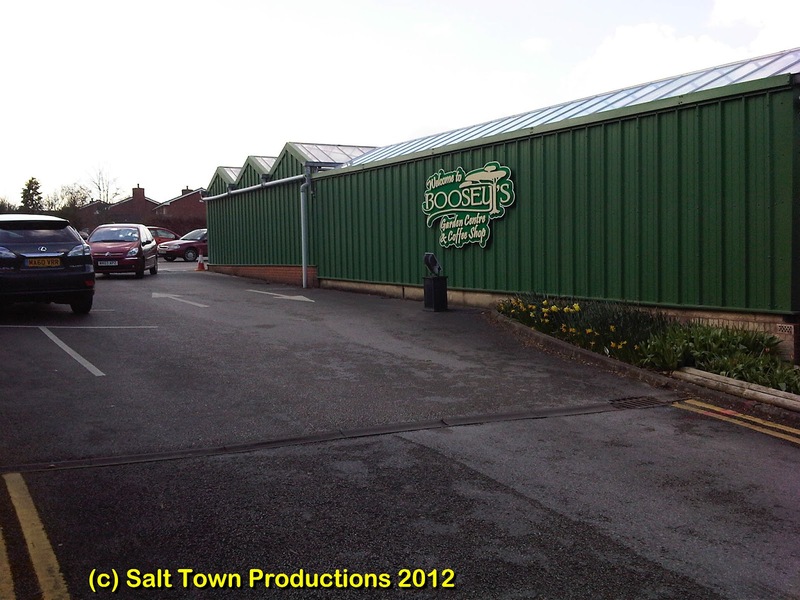 To the rear of the pub is the substantial bulk of an old stable building at the end of the car park. It can be seen that the building is of sufficient height to seriously affect the light reaching the windows of the cottage behind it, making nonsense of the current owner's claim to be affected by the much lower Portacabin which is there now. The Portacabin in question is used by the local pigeon club as their HQ and supersedes an old converted railway wagon which was situated just inside the car park entrance. The building on the left is Costello's shop and we can now get a good view of the 'privy' which once served it. Behind the camera are some interesting old buildings which can be seen here. 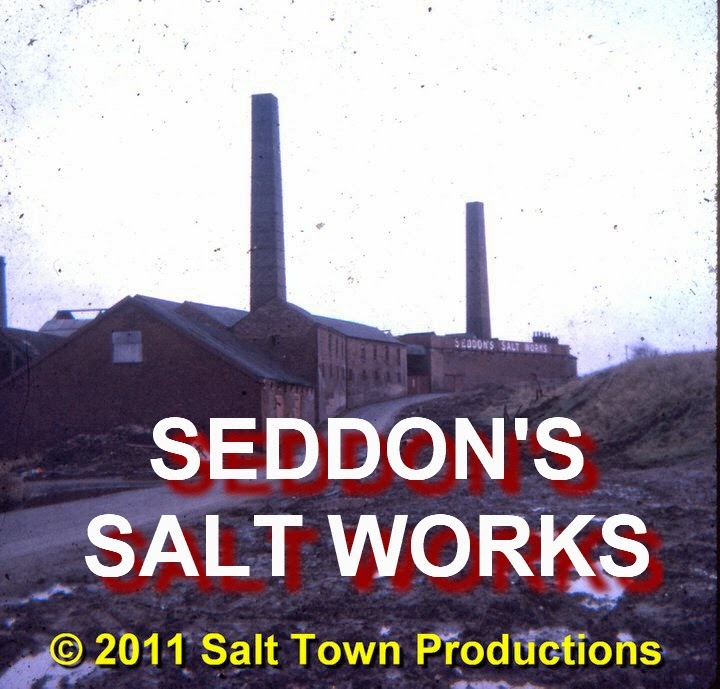 The two chimneys in the background belong to Seddon's Salt Works on Brooks Lane which closed seven years earlier. 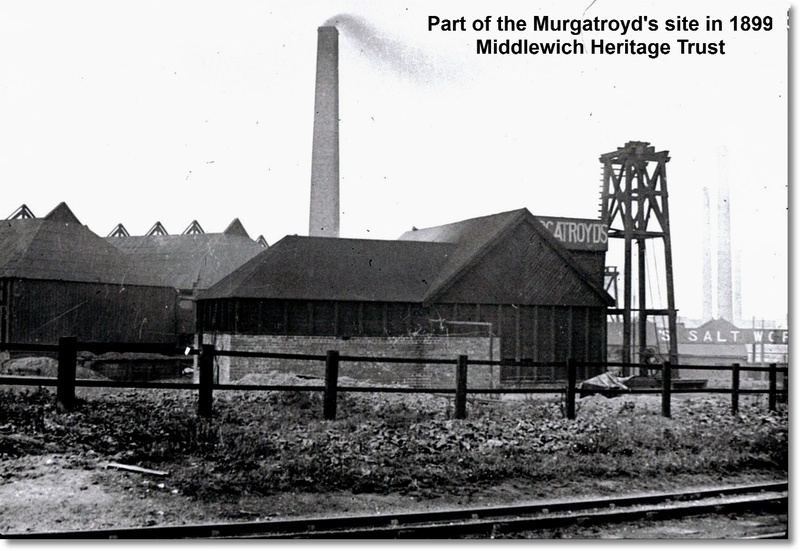 These chimneys were the last of the Middlewich open pan salt works chimneys to be demolished and can be seen here. We half thought of using this photo as part of an April Fool stunt and trying to suggest that during the 1990s road congestion had got so bad in Kinderton Street that the council had hired someone to walk along the rows of cars reminding them which town they were stuck in. In the event we decided against such foolishness and so here is the picture with the real story behind it. 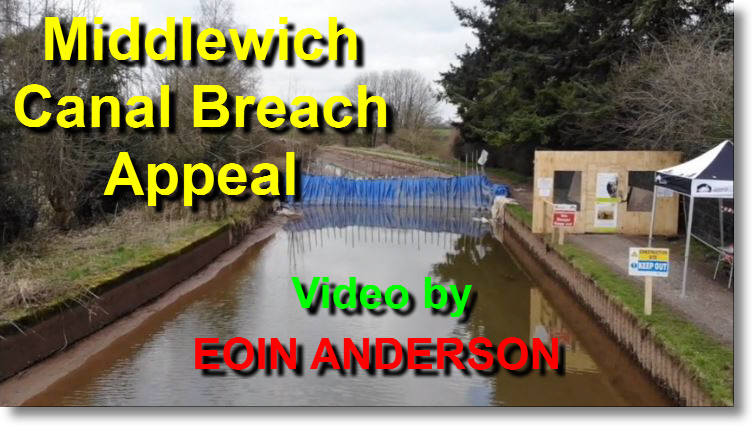 It was taken as part of the Middlewich Rail Link Campaign's never-ending efforts to raise awareness of the Sandbach-Middlewich-Northwich railway line and the need for its re-opening to passengers. 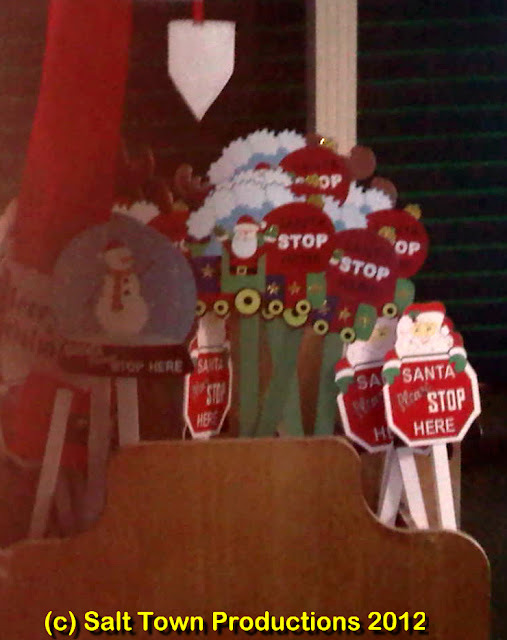 We have, of course, seen that signal box nameboard several times before (see below) and we will be seeing it again before we're done. 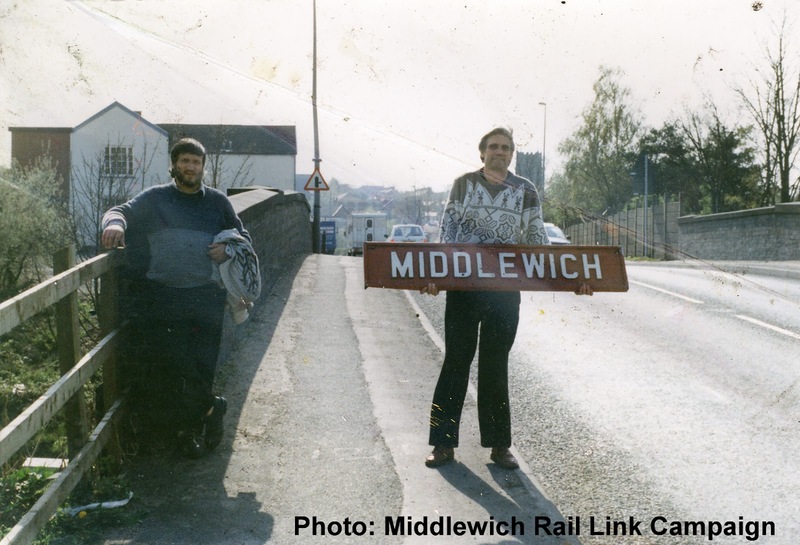 It had recently been returned to Middlewich from Uttoxeter, courtesy of George Dean,and members of the railway campaign were keen to show it off on every conceivable occasion to remind everyone of the line's (and the campaign's) existence. Winston Lea, who was a cellarman at the Kings Arms Hotel at that time and a very obliging chap, offered to carry the sign for us on one outing up to the former station site and here he is showing it to passing motorists. 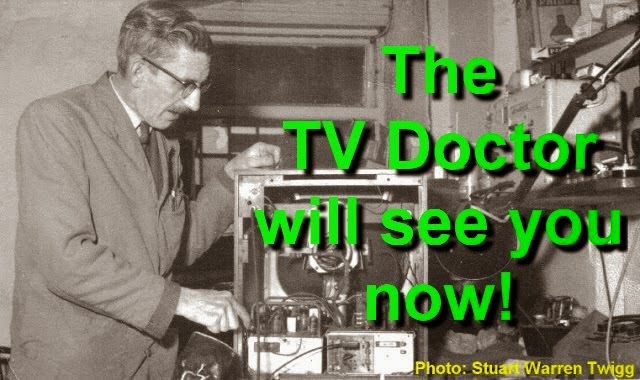 What they thought of it is not recorded. Also in the photo is MRLC Deputy Chairman Peter Cox who is standing where I stood with my Dad one day in the 1950s and saw my first steam train, proving that there is such a thing as love at first sight. The bridge was rebuilt and strengthened a few years later to cope with the horrendous amount of road traffic it has to bear, and new, much higher parapet walls inserted into the structure, so it's now much more difficult to see over the wall. One last tribute to a remarkable lady. 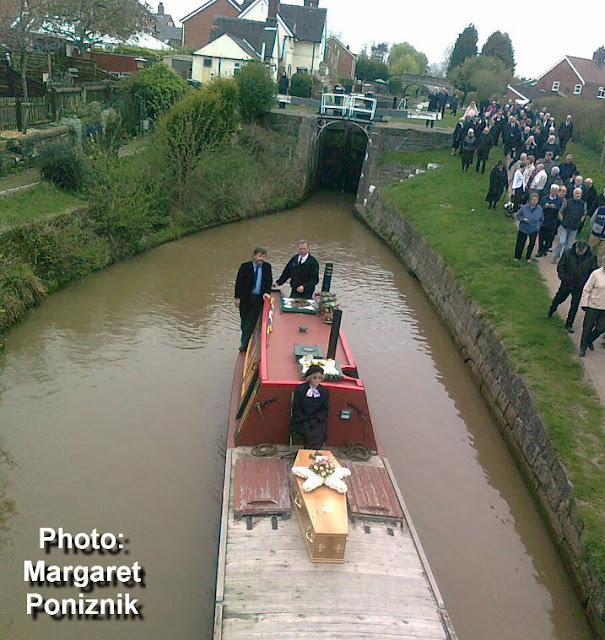 Margaret Poniznik took this shot of the Tay taking Maureen Shaw through the Wardle Canal on her way down to Middlewich Town Wharf on 30th March. The photo shows the boat leaving Wardle Lock, with the celebrated lock-keeper's cottage which was Maureen's home for many years to the left of it. Looking to the future, we understand that the cottage has been bought by a family who are waterways enthusiasts and are keen to help in ensuring that Maureen's legacy will endure. 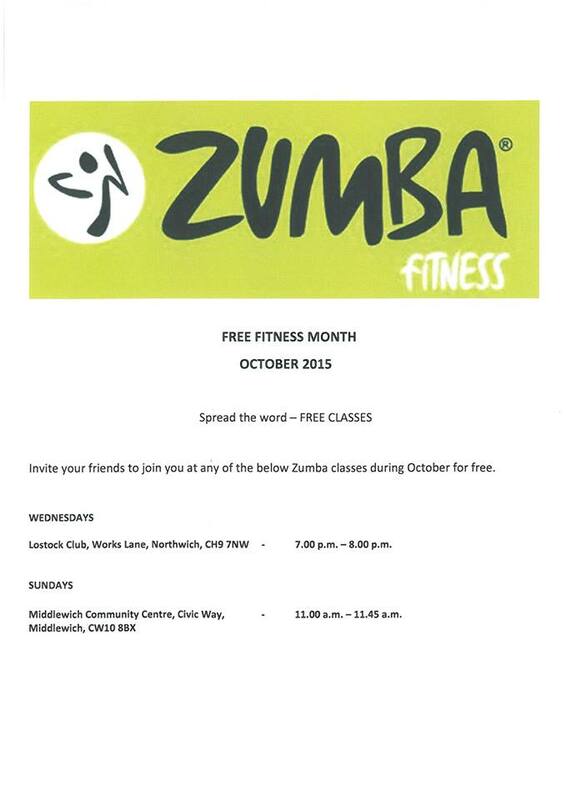 Our thanks to Margaret for permission to use her photograph.